What’s New In Lupus Research & Treatments? Keeping tabs on the latest info about lupus research is no easy task. So we’ve boiled down some highlights and trends in the world of lupus research and drug development — take a peek. Stem cells – Initial studies have shown that mesenchymal stem cells (MSC) — a type of stem cell that lives in bone marrow, umbilical cord blood, and many other tissues — may suppress the inflammation associated with autoimmune disease, including systemic lupus erythematosus (SLE). An upcoming phase II clinical trial will take a closer look at the effectiveness and safety of MSC obtained from umbilical cords for the treatment of adults with SLE (check out this PatientsLikeMe guide to clinical trials to learn more about the phases and process for developing new treatments). Gut bacteria – Research has also shown something called gut microbiota dysbiosis or intestinal dysbiosis (an imbalance in the amounts and types of bacteria in the gut) in people with autoimmune diseases like lupus. A small new study published in February 2018, which observed both mice and humans, found that lupus may be linked to an altered and less diverse microbiota (a biological community of bacteria or other organisms) in the gut. The researchers called for more research on lupus and gut health. Biomarkers – SLE disease activity within the body has been difficult to monitor through blood tests because the condition is complex and affects people’s bodies differently. But the researchers behind a new study published in Nature in February 2018 believe they’ve identified two biomarkers (short for “biological markers,” or signs of biological/disease activity) strongly associated with active SLE. The biomarkers are called CIC and IL-6. Atacicept – Biopharmaceutical company EMD Serono recently announced positive results of a phase II clinical trial of atacicept — a protein that targets the immune system and appears to reduce flares in people with SLE. Stelara (ustekinumab) – This treatment, marketed by Janssen, already has FDA approval for the treatment of plaque psoriasis, psoriatic arthritis and Crohn’s disease. In late 2017, a phase II clinical trial showed good potential for Stelara as a possible treatment for SLE. 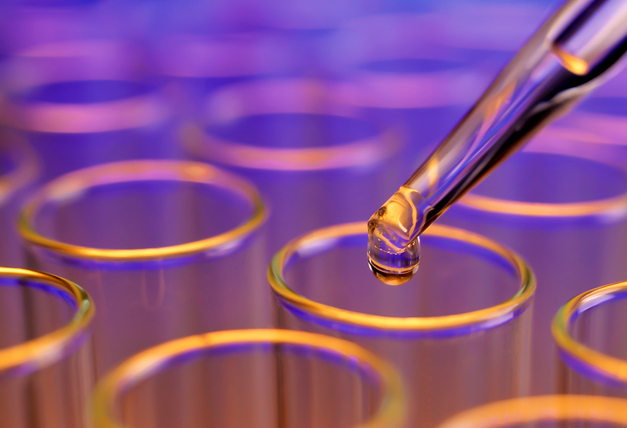 Janssen is continuing to study Stelara’s effects on SLE in phase III of the ongoing trial this year. Lupozor (rigerimod) – This potential treatment by ImmuPharma showed mixed results in a phase III trial, so the company is weighing its next steps. The treatment failed to show a significant response rate over the “standard of care” treatment for lupus, but it performed somewhat better than a placebo and had no reports of adverse events. Lupuzor appeared to benefit European patients but not U.S. patients, Lupus News Today reports. The treatment aims to suppress the activation of auto-reactive T-cells — immune cells that attack the body’s own tissues — without affecting healthy immune cells. Orelvo (voclosporin) – Aurinia Pharmaceuticals is working on developing this potential treatment, which aims to reduce inflammation and stop further damage to the kidneys. After announcing positive phase II trials in 2017, Aurinia launched a phase III trial of voclosporin, which they plan to give the brand name Orelvo. Orencia (abatacept) – This treatment from Bristol-Myers Squibb already has approval for the treatment of adult rheumatoid arthritis (RA) or juvenile idiopathic arthritis. In 2013, a phase II trial of abatacept found that it is well-tolerated by people with lupus nephritis, although it did not meet the specific treatment goals of the study. The drug is currently being studied further in a phase III trial. Anifrolumab – AstraZeneca is winding down two phase III studies of this potential SLE treatment (both trials are expected to be completed in 2018). Anifrolumab, which is given intravenously, “works in a different way to Benlysta by targeting interferon, a protein involved in inflammation,” Reuters reported, along with promising phase II clinical trial results in 2015. AstraZeneca is also studying anifrolumab as a possible lupus nephritis treatment, with a phase II clinical trial expected to wrap up around 2020. Full disclosure: PatientsLikeMe has partnered with some of these pharmaceutical companies on research projects. The information shared here is not sponsored content. Questions about our partnerships? At PatientsLikeMe, we’re all about transparency so check out who we’ve worked with here. Which areas of lupus research are you following most closely? Chime in below or join PatientsLikeMe to talk with others about this topic in our forums. I am so confused with systemiclupus, RA, and scolosis, sciatica that I have that I don’t know which end is up. All of this and the only thing that helps is prayers. Thank you so much for sharing this article about new research treatments for lupus. This is a very informative post and hope it could really help lots of people. I also have read how to find natural relief from lupuis pain and it’s worth the time reading it as well.